Sometimes I get so caught up in my work I forget to eat lunch or don’t feel like spending the time to fix myself something nice. Maybe because I am getting over the flu and haven’t been eating that much, I felt like making myself a fancy lunch today. Here are the mini quiches I made. They were very delicious and satisfying on a cold winter January day. 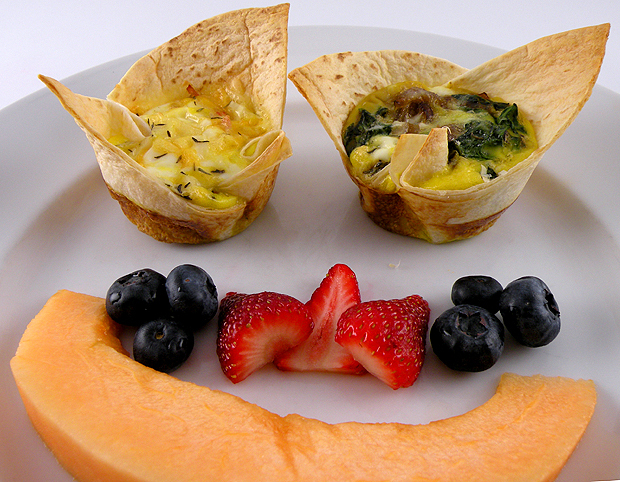 This entry was posted in Food and tagged breakfast, brunch, cupcake eggs, cupcake pan, eggs, Gina Tepper, ham and eggs, mini omelette, mother's day, muffin pan, omelette, onions, spinach, Sunday brunch, tortilla. Bookmark the permalink.